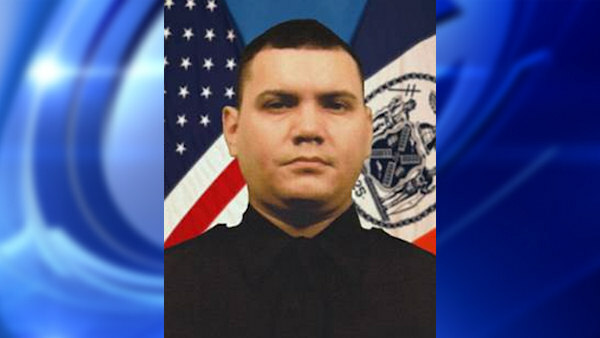 NEW YORK (WABC) -- A street will be renamed in New York City for Police Officer Dennis Guerra on Saturday. Officer Guerra died from smoke inhalation three days after he responded to a fire with his partner back in April 20014 at the Coney Island Houses. Guerra's partner, Officer Rosa Rodriguez was seriously injured but recovered from her injuries. The renaming will take place at Granda Place and Faber Terrace in Far Rockaway, Queens at 11 a.m.
Police Commissioner William Bratton and other city officials will be in attendance.